All proceeds of book sales go to feed the animals and rescue injured or abandoned animals. The Casey's Creatures program educates people about animals in a fun and exciting way. 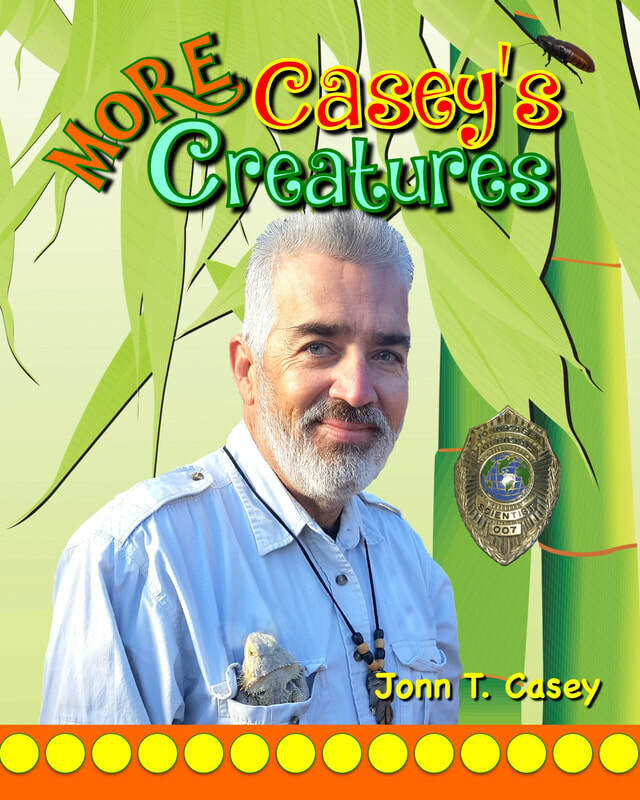 The squeals that Mr. Casey often elicits from his audience are from pure delight rather than from fear of the many live creatures he presents. The animals featured in these books are some of these creatures, along with photographs of the animals and fun educational facts about their species. Kids (and adults too!) will enjoy learning more about Mr. Casey’s many creatures. ​Join Nacho the iguana as he tells about his life in Mr. Casey's Science class. Written in both Spanish and English, this cross-curricular picture book is sure to please readers of all ages!